B1 Class 4‑6‑0 No. 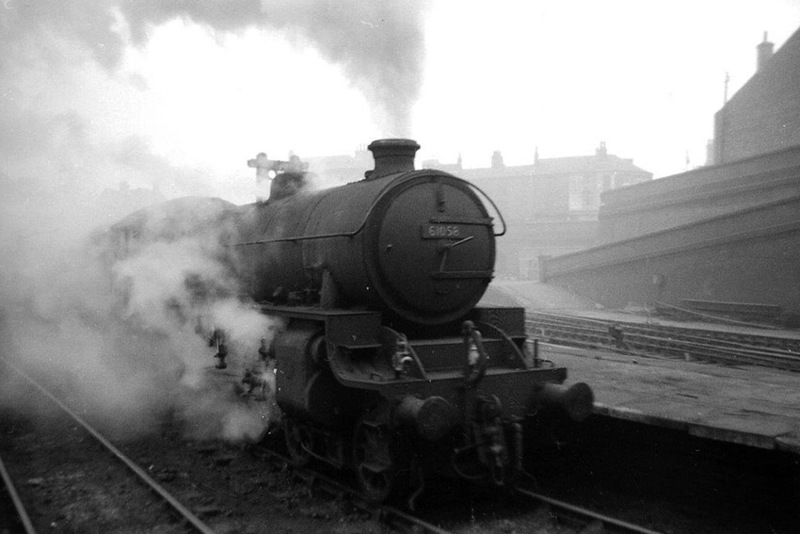 61058, of 40A Lincoln, departs from the gaunt and grim backdrop of Nottingham (Victoria) station in a flurry of exhaust and escaping steam on a bitterly cold 23rd February 1963 with a parcels train. Once of 32B Ipswich and 31B March No. 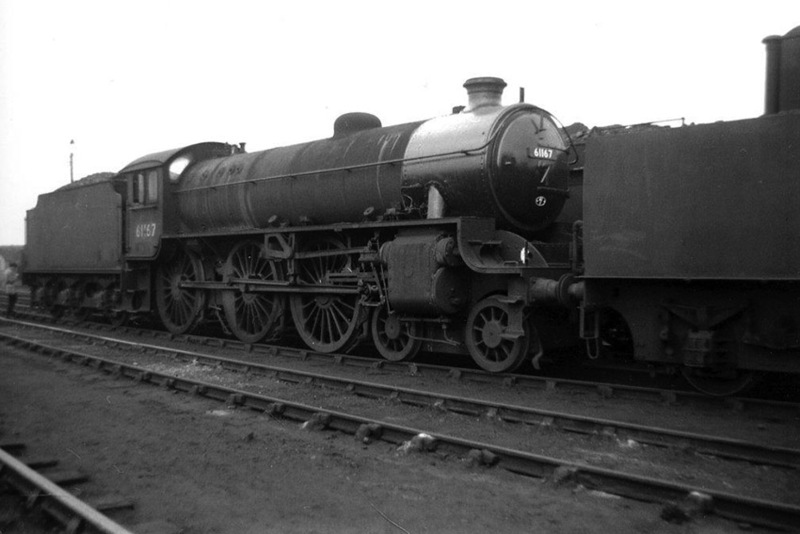 61058 was transferred from 40A to 36E Retford in January 1964. B1 Class 4‑6‑0 No. 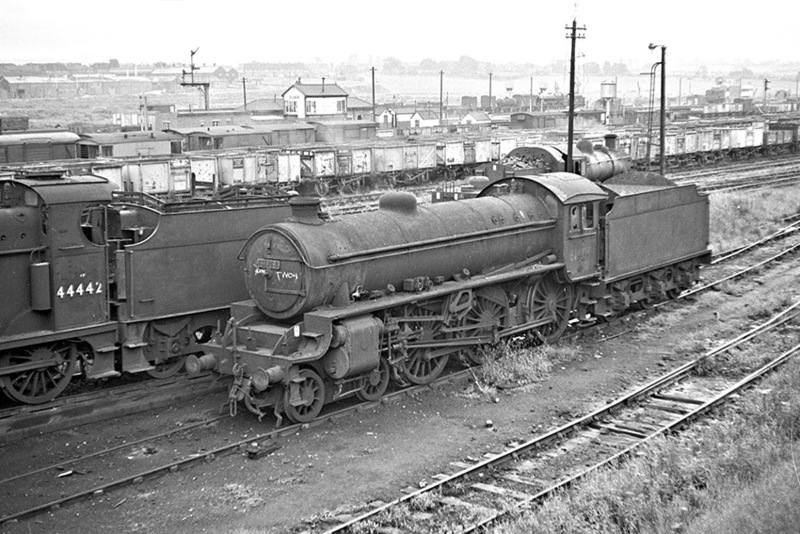 61408 condemned and unwanted is far from its former home at 40B Immingham as it stands lifeless in the depot yard at 21B Bescot whilst in transit to Cashmore’s, Great Bridge on 3rd July 1963. Keeping No. 61408 company is soon to be withdrawn LMS Class 4F 0‑6‑0 No. 44442 of 21B. B1 Class 4‑6‑0 No. 61167, a long‑term resident of Mexborough MPD, 36B/41F, stands out of steam in the shed yard on 12th May 1963. 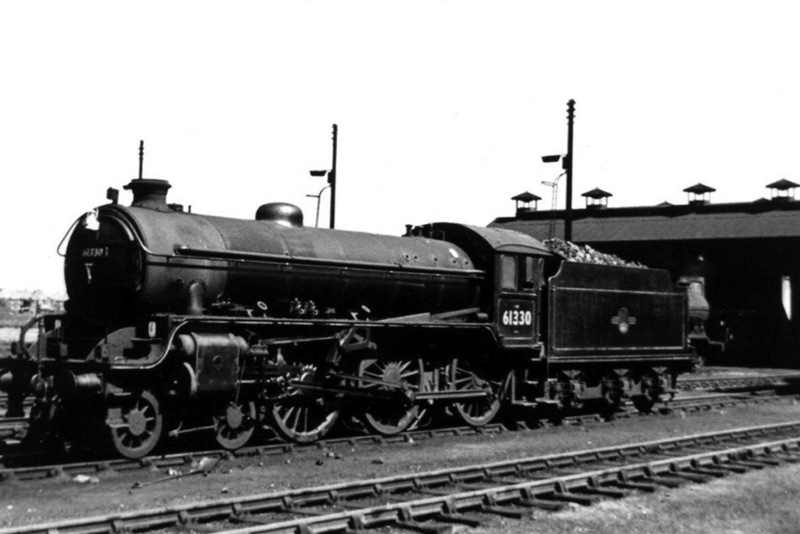 Note the ‘tarted‑up’ appearance of the smokebox which was a common feature on Mexborough engines at this date in time. When the depot closed in March 1964, No. 61167 was drafted to 41D Canklow. Looking in good external fettle B1 Class 4‑6‑0 No. 61330 poses for the camera in bright sunshine outside the straight running shed at 62A Thornton Junction on 3rd August 1964. Based at 62A for many years No. 61330 was withdrawn from there in November 1966 and cut up at the hands of Motherwell Machinery & Scrap at Wishaw early in 1967. There are no known additional amendments or queries appertaining to the disposals of the LNER B1 Class locomotives, but any information to the contrary will be welcomed along with any confirmations or otherwise of the verifications required. Author’s Note: Discrepancies between the monthly withdrawal dates as published in the 1981 edition of WHTS Volume Thirteen and the updated versions online are negligible.